Celebrate & Sing, Let Freedom Ring! 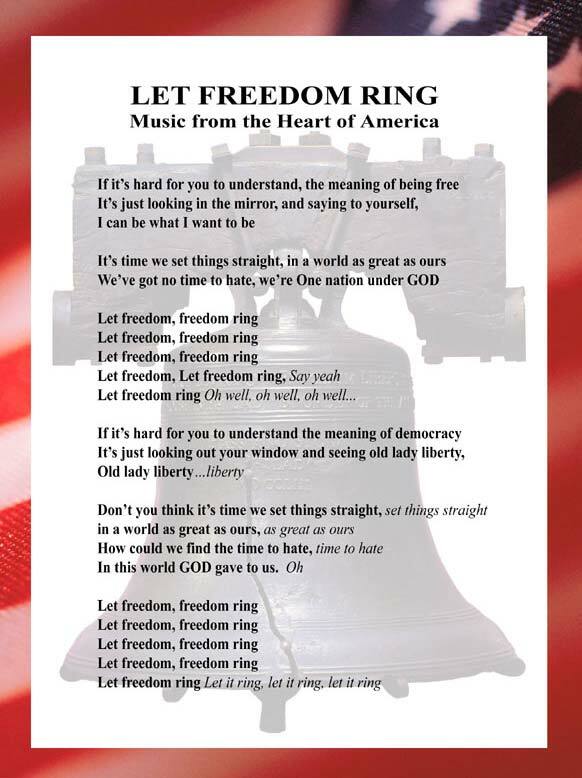 For July 4th Let’s join hands and sing Let Freedom Ring! Celebrate Freedom! 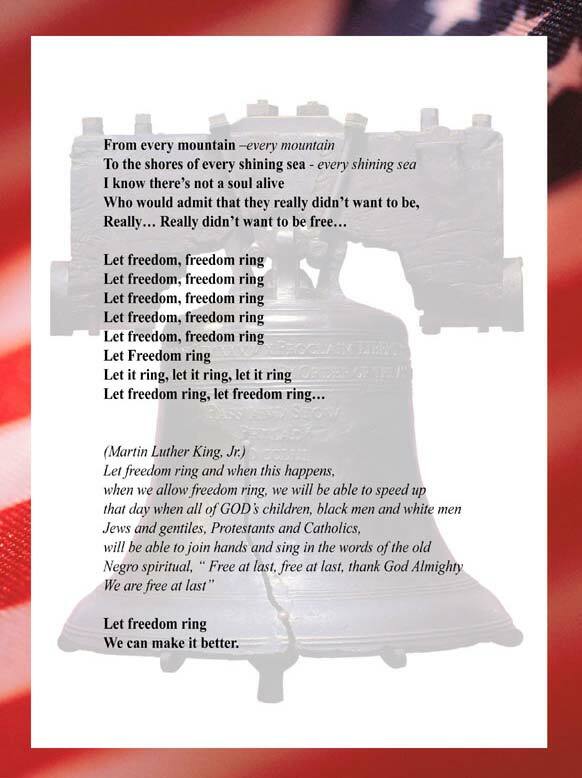 “Let Freedom Ring” is the last Inspirational Message song written and sung by the late, Great John Whitehead. It is about the meaning of being free. It was John’s special wish that Rita sing it with him to be released in America and to the world. Now is that time. That’s meaning of being free. In a world as great as ours. America and Israel are brothers and Music is the International language. When words fail music speaks.Music speaks what cannot be expressed, soothes the mind and gives it rest, heals the heart and makes it whole, flows from Heaven to the soul. RITA Israel’s Queen of Song is by far the most celebrated and successful singer in the land. Rita’s beautiful voice has gained worldwide attention. In addition to being a successful singer Rita is a graduate of one of the most respected acting schools in Israel. She has performed in dozens of plays, musicals and movies. Whether touring America, England, Canada, France, Brazil, Japan or China, her fans know every word of her songs and sing along. Language is no barrier. Rita sings in Hebrew, English, Farsi, French and Italian. Even her gestures and the graceful movement of her hands to the music speak their own universal sign language! Listening to Rita sing is a breathtaking experience – her words and music are Heaven Sent.